“Prime Minister, what would you like to tell us about today?” This opening gambit from a UK television presenter in the 1950s, part of a documentary I watched recently about the history of the political interview, reminded me how far we’ve come since that innocent age. Trust was more prevalent then. It allowed politicians to go unchallenged and the media to remain deferential. Business, meanwhile, was often faceless, existing at a distance from the people it served. The breakdown in trust is widespread and corrosive, but there is a chink of hope for business. Of the four institutions, it is viewed as the only one that can make a difference. Three out of four respondents agree a company can take actions to both increase profits and improve economic and social conditions in the community where it operates. This suggests brands have the power to rebuild trust through true engagement. I believe that needs to be done in two ways: by demonstrating a social purpose, and by taking part in genuinely two-way dialogue. For millennials, in particular, brand value is increasingly about trust and respect rather than simply price. Edelman found that customers’ chief expectation of financial brands – rated above even keeping their families and data safe – is that they make a positive contribution to society. 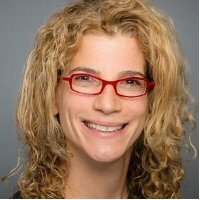 “It’s not necessarily check book philanthropy, but doing a good job and investing for the future,” explains Deidre H. Campbell, Edelman’s Global Chair of Financial Services. Chase’s Mission Main Street program is a prime example, celebrating small US businesses and offering grant support to the most promising. Similarly, American Express’s Small Business Saturday initiative harnesses digital connectivity to link small firms and communities. Citi set out to support a different demographic with its professional women’s community, launched in partnership with LinkedIn. It provides access, networks and best practice to support women in their careers. Being part of your community also demands a willingness to interact with customers, rather than talk at them. Perhaps it’s for this reason that trust in the mainstream media, which lacks two-way channels, is in decline. 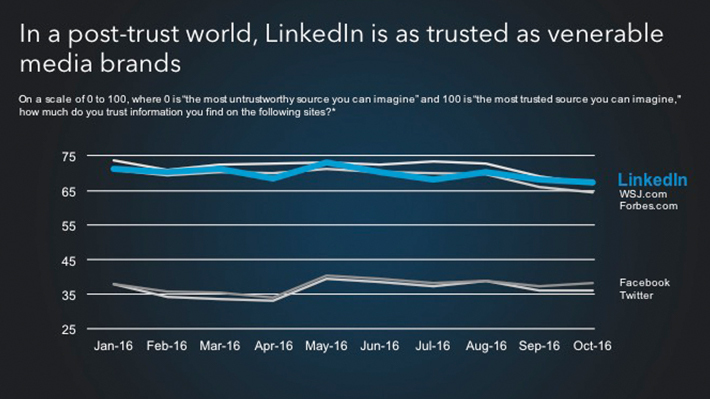 LinkedIn, for example, is now trusted as highly as venerable media brands such as the Wall Street Journal, according to our research. Brands that devote more resources to interactive channels are on the right track. Edelman found 62% of respondents more likely to believe a company’s social media communications than its advertising. Social platforms also offer brands a way to prompt a response from the audience. Prudential’s Day One campaign, for instance, famously revolutionized the retirement market, collecting people’s personal experiences and encouraging people to start the conversation about their own retirement. The most successful brands are going beyond traditional CSR. Unlike the old days, they see themselves as part of society. They are willing to get into meaningful conversations. They demonstrate that their concerns chime with those of customers – and that they are willing to invest in worthwhile solutions. For more nuggest of wisdom on how you can leverage the power of trust in your marketing, subscribe to the LinkedIn Marketing Solutions blog.